27 years old. Premeditated murder/suicide. 149 innocent victims. h/o depression with suicidal ideation. What of it? How do we make sense of these facts? As a psychiatrist, what are my thoughts on the matter? For a week I have thought about my perspective, wondering how I reconstruct this story which has no answers and only questions. As this is also the eve of holidays in which many family and friends get together, Mr. Lubitz might make it into dinner table conversations. For the families of the victims, there are simply no words. For the world, there is fascination and quick answers, hoping that the next plane we step on, or the plane our loved ones step on, does not suffer this tragic fate. My first point is that I want to rid the world of the shock value of these tragedies. Like school shootings, or suicide bombers in the middle east, there is a small group of people, who will take harmless victims with them to the next world. This will always happen, and there is no way for psychiatrists, or anyone else to fully prevent these tragedies. For a variety of reasons the perpetrator of these crimes believes that this murder-suicide is justified, and as the human brain can convince oneself of almost anything, once the brain is convinced, the behavior follows and terrible consequences ensue. To be shocked by this behavior is to be naive to human nature. Most humans want to help others, but a minority of humans do terrible destruction. This is our landscape. To pretend that is not true, is denial. The shock of Andreas Lubitz behavior is evidence of this denial. My second point is more difficult to articulate. 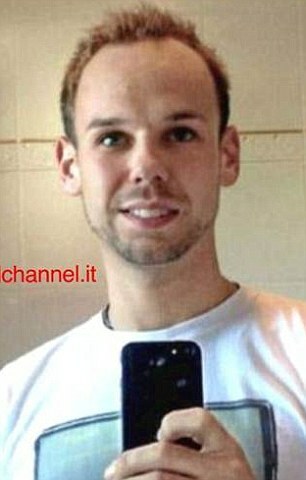 Mr. Lubitz has a history of depression with suicidal ideation and he sought medical care immediately prior to this event. Does this mean he was mentally ill? Probably, but we will never know, unless the physicians who evaluated him can disclose their findings. Assuming he was depressed and a danger to others, then he should not have been allowed on that plane. However, it is rarely that clear. He may have been vague in his description of his mental state, and he may not have mentioned that in his suicidal ideation he was contemplating taking down innocent people. A psychiatric assessment includes asking about homicidal ideation, but his answer could range from “sometimes I hate people” to “I can understand the man who did Sandy Hook.” The privacy laws in Germany are not clear to me, and so I can only imagine if Mr. Lubitz walked into my office in California. If he specifically stated that he was going to take the plane down, then I would call Lufthansa immediately. However, the likelihood is that he hinted at his plan without being explicit, leaving, I imagine, the five doctors he saw prior to the plane crash in terrible despair, desperately trying to remember exactly what he said. Unfortunately, the relationship of mental illness to violence is not clear. Our most clear understanding of behavior comes from the past and from family history. The adage that past behavior predicts future behavior holds true. I do not know what is in Mr. Lubitz’s past, but I suspect he had no violent history, making this event even more difficult to predict. My final point is that as awful as this tragedy is, we need to acknowledge that we are terribly inadequate at predicting these events, and hence having two people in the cockpit at all times is a good intervention. Trusting passengers to one pilot will ensure that this tragedy will repeat.